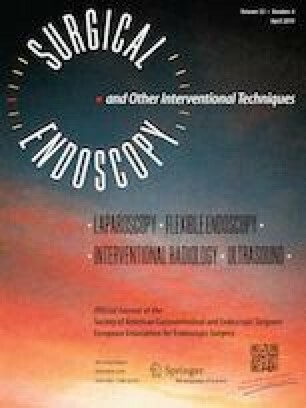 Endoscopic submucosal dissection (ESD) for early gastric cancer is highly effective and well established. Performing ESD in the surgically altered stomach (SAS) is challenging. The aim of this meta-analysis is to assess the safety and efficacy of ESD for patients with early neoplastic lesions occurring in the SAS with a subgroup analysis of lesions occurring on the suture line compared to non-suture line lesions and outcomes in the remnant stomach compared to the gastric tube. We performed a literature search of the PubMed, Embase, and CINAHL electronic databases from January 2000 to November 2017 for articles reporting the safety and efficacy of ESD in the surgically altered stomach. SAS was defined as the remnant stomach following gastrectomy and gastric tube following esophagectomy. Meta-analysis was performed using Review Manager version 5.3 software. A total of 21 articles, with 903 lesions occurring in the remnant stomach or gastric tube, were included in this study. There was no significant difference between en bloc (RR 0.99, 95% CI 0.91–1.08), curative resection (RR 1.03, 95% CI 0.84–1.26), or bleeding rates (RR 1.40, 95% CI 0.18–10.72) between lesions in the remnant stomach and gastric tube. However, perforation was significantly higher in the gastric tube (RR 5.19, 95% 1.27–21.25). Suture line lesions had a significantly higher risk of perforation (RR 4.55, 95% CI 2.13–9.74). ESD for early neoplastic lesions occurring in the SAS is a safe and efficacious with similar en bloc and curative resection rates compared to the anatomically normal stomach. ESD for lesions on the suture line or in the gastric tube is associated with an increased risk of perforation which can be managed endoscopically. Literature search was performed by MB and MA. Data collection was performed by MB and MS. Data analysis was performed by AO and MB. The manuscript was written by MB. The manuscript was edited and revised by DCL and MO. Overall supervision was done by DCL and MO. Dr. David L. Carr-Locke is a consultant for Boston Scientific, Maura Kea Technologies and receives royalties from Telemed and Steris. Dr. Mohamed Othman is a consultant for Boston Scientific and Olympus. Doctors Mohamed Barakat, Mohamed Seif, Mohamed Abdelfatah, and Andrew Ofosu have no conflicts of interest or financial ties to disclose.